Individual, Team & Leaders Resilience Programs — J&G Consulting. Enabling Change for Good. Express your interest for Performance + Wellbeing online. J&G Consulting design and deliver a range of organisational solutions for professionals working in Education, Health and the Not-For-Profit sector. With a dual emphasis on performance + wellbeing, our online professional development program is suitable for leaders and teams who might benefit from improving their understanding and practical capacity to build and sustain their own, and their teams’, resilience. While our face to face executive resilience programs continue to be highly popular with our clients at the leadership layer, those who’ve participated to date told us that they wanted more. They wanted a mechanism to help them scale the concepts and ideas of resilience in their organisations,in a manner that they can deliver to staff at all levels. We built our Performance + Wellbeing online program in response. Our online course offers participants the opportunity to complete 6x short self-paced modules of learning content, followed by the opportunity to join a qualified coach online, fortnightly over 12 weeks, in a small group coaching setting. Beyond simple content delivery, this blended approach to delivery ensures that learnings from the course are embedded in changed practice and behaviour. Community Services & Aged Care. Fill in our form and we’ll be in touch! Please nominate which online course you'd like to join us on. Thank you for registering to join us. One of the team will be in touch shortly. Click the image above to download our Resilience in the Workplace Case Study. High-performance organisations anticipate and manoeuvre skillfully from today’s shape to tomorrow’s, and the demands placed on individuals and teams to adapt, are ever present. How do I prepare for or rebuild after a major change in organisational direction or structure? How do I support my staff who deal with difficult tasks, unrelenting schedules or demanding customers? How can I support my people through constant change and uncertainty? While we know that aspects of personality make some people appear more resilient than others, the truth is that individual resilience is dynamic – built or depleted depending on the environment and on how we understand and nurture it within ourselves and our teams. J&G are accredited facilitators of the R@W (Resilience at Work) suite of tools and diagnostics that support productive discussions and skills development in the area of workplace resilience. Developed by Australian psychologists Kathryn McEwen and Dr Peter Winwood, the R@W Scale measures personal and team resilience and has been applied successfully across a wide range of industries and role types. Researchers are increasingly applying the scale in education, health and commercial settings, reporting statistically significant improvement in the factors associated with resilience at work, and building an international normative data set. The scale underpinning the approach is a very simple one. Many of the things that build resilience are almost painfully simple concepts to understand – but they are also universally difficult to implement without mindful allocation of cognitive and time resources. The value in providing professional development in this area is in supporting your people to quarantine time for development of their knowledge, commit to habit-forming practices and establish relational connections which can become the basis of sustained improvement in performance across a system. J&G use the R@W suite and embed the approach in bespoke training packages that meet the specific needs of our clients. We hold specific industry expertise in Education, Health, Not-for-profit, Faith-based and Government environments and are passionate about making a difference in the lives of those who service our community. Our team of Psychologists, Behavioural Scientists and Human Resource practitioners are skilled in using a range of adult learning approaches to establish and build the concepts of workplace resilience with individuals, teams and in building leader capacity and capability. "This Program was exactly what they needed and we will run another couple – just as we ran this one – in upcoming months." “The feedback I’ve had from my staff and from the leaders who participated in the pilot Program was exceptionally, and overwhelmingly, positive. This Program was exactly what they needed and we will run another couple – just as we ran this one – in upcoming months. If other organisations were looking for ways to build their leader resilience as a mechanism for improving wellbeing and supporting optimal performance, I wouldn’t hesitate to recommend they work with J&G to tailor a solution that meets their needs." Co-Founder and Managing Director of J&G, Fleur Johnston has more than 20 years’ experience helping executive leaders of large organisations navigate organisational performance improvements. 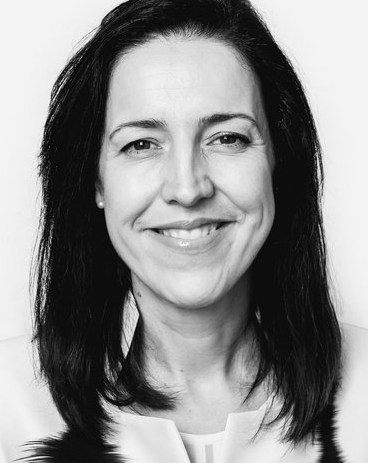 With a background in human psychology, Fleur is a highly accomplished Organisational Development and Strategic HR strategist, specialising in large scale business and cultural change. Fleur holds deep sector experience in Education, having designed and facilitated significant strategic change initiatives for Public sector educational institutions and Catholic Education dioceses across NSW and Qld. Her work in delivering Resilience interventions in education is informed by this broad strategic understanding of the sector, and includes a large number of organisations in the Catholic Education sectors in NSW and Qld. Dr. Meg Hooper has over 15 years experience in consulting and has delivered solutions covering the full employee lifecycle. Over the past 5 years, Meg's focus has been on building change management capability and leadership within organisations. She has coached managers on increasing their personal effectiveness through improving communication and change management capability. As a registered psychologist with a PhD in organisational psychology, Meg is well placed to understand human behaviour and design pragmatic solutions accordingly. Meg's experience delivering Resilience interventions includes a large number of organisations in the Catholic Education sectors in NSW and Qld. Mike Hennessy is a Consultant, Facilitator and registered Psychologist with experience in the public, private & not for profit sectors. He has designed and delivered initiatives to support clients with their strategic organisation design, reward strategy, leadership assessment & development, classification structure design, job evaluation, learning & development and psychometric assessment needs, including major projects with educational institutions in the public, religious systemic (Catholic Education) and independent school sectors, as well as several universities across Australia. Mike's experience delivering Resilience interventions includes Catholic Education, Community Services and Healthcare organisations in NSW and Qld.